The devotee might say “Let me keep on continuously doing this bhakti”. 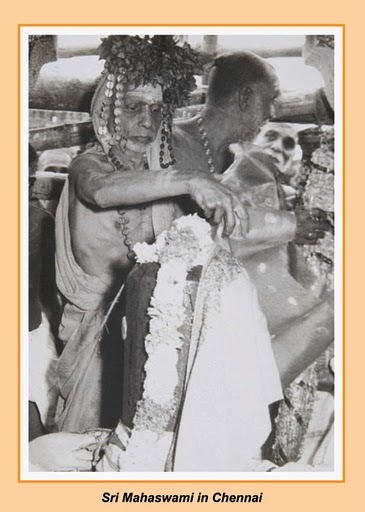 But Bhagavan (saguNa brahman) says: “It cannot be so. I am done with this charade. How can I carry on this charade for ever? At some point or other I have to be what I am. And that point of time has come. I am tired of this play. For whatever time I have carried on this drama, that much time it is going to be only rest hereafter” and terminates the show by throwing off His MAyA and remains nirguNa. Without MAyA and Ishvara where is the question of a JIva? So he also has to go for advaita mokSha along with Him! That is the only permanent mokSha. For a whole period of time equal to BrahmA’s lifetime the paramAtman rests, that is, stays alone in its nirguNa status, and then again Creation begins; but now the one who had reached advaita mukti earlier would not now be born again in this new creation.